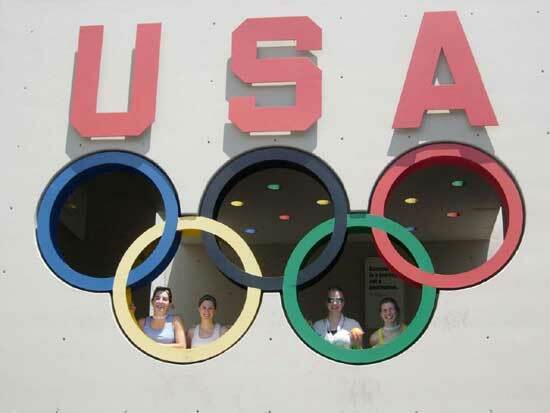 Members of the Junior National Biathlon Team and several fellow senior athletes came together from across the United States for a two week camp that began at the Olympic Training Center in Colorado Springs and later moved to Winter Park. This camp pushed these hopeful athletes to a higher level with a primary focus on a high training volume. The time at the training center allowed for these athletes to pay special attention to shooting while maintaining fitness. The second week in Winter Park provided a nice complement with plenty of opportunities for training at high altitude. 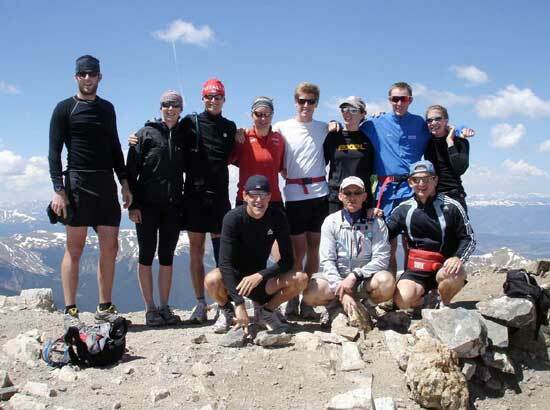 From Left: Vladimir Cervenka, Marty Smith, Mark Johnson, Wynn Roberts, Grace Boutot, Hillary McNamee, Addie Byrne, Brynden Manbeck, Ethan Dreissigacker, Kevin Patzoldt, Prestin Butler, Leif Nordgren. Highlights of the time in Colorado Springs included a hike/run up Pikes Peak (7,000 ft elevation gain) and regular strength workouts in the extensive training complex at the training center. 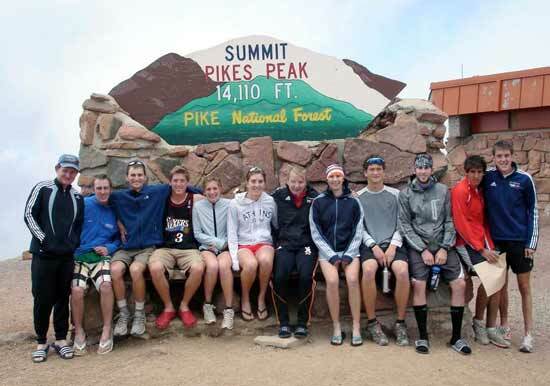 After acclimating for a few days in Winter Park (9,000 ft and above), these junior and senior athletes were able to post 23 hours in three days. 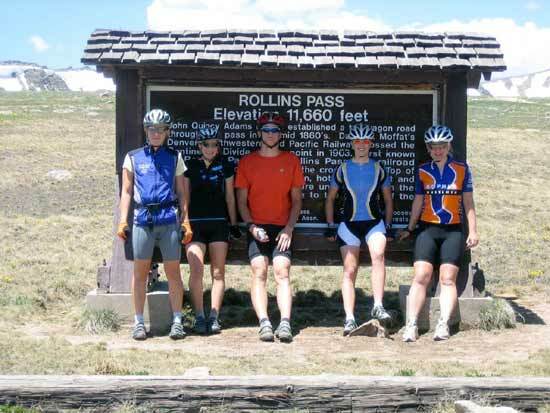 This was primarily accomplished by a 190-mile road bike ride (total gain over 20,000 feet) for the older athletes and an 80-mile mountain bike up Rollins Pass for the women and youth men. 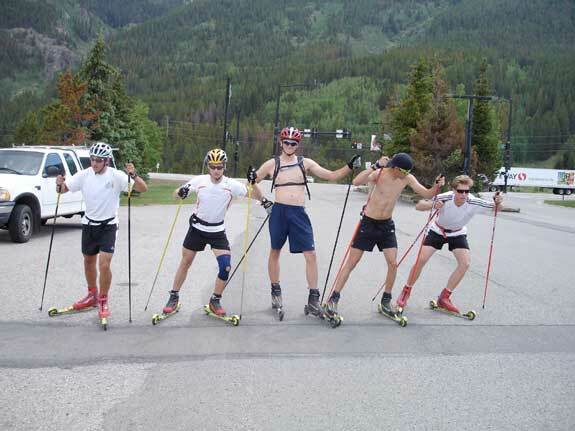 Other high points of the camp included hiking up two more of Colorado’s famous 14’ers --Gray’s and Torris, a rollerski from Breckinridge to Vail Pass (twice), and shooting at Snow Mountain Ranch. All of those in Colorado would like to thank the Colorado Biathlon Club for the use of their range at Snow Mountain Ranch, the Smith family for housing and showing the group a good time over the 4th of July, Alan Dettmer for his knowledgeable healing advice, and Mark Miner for donating essential groceries.